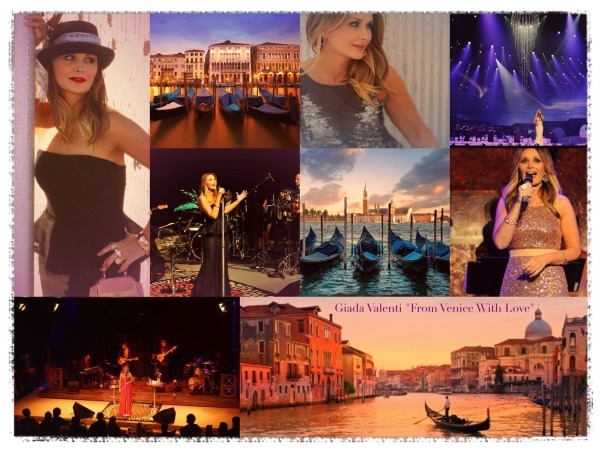 Born and raised in Venice, Italy, singer and songwriter Giada Valenti is recognized for her special voice and great stage presence. Giada is bringing her romantic music and her elegant style to music fans worldwide. She has been selling out in Performing Arts Centers all over the United States, with a show where she takes her audience on a romantic musical journey performing love songs from the 60s, 70s and 80s, combined with several of her own penned songs. My thoughts on Italy and Being Italian! I was born in small city outside Venice Italy, called Portogruaro. My mother Carmela is a Venetian, and my father Luigi is from Rome. I grew up in Venice and I spent part of my summers as a child in Rome, while visiting my father’s family. I had a great childhood and I was blessed by having the most wonderful of the family. I’m very close still to my family. The big dinners for Christmas and Easter and the big family gathering for the Birthday celebrations are some of the most beautiful things in the world for me. Even now that I’m far from all of them I feel them with me…I feel their love, their support…I’m glad that I’ve learned the importance of family…alone we are weak, together we are strong! Being together to be strong is a very important Italian thing! My country of Italy is wonderful. From north to south the landscape is beautiful in its own diversity. I grew up in a town that is near beautiful beaches, but also wonderful mountains. Places like, Bibione, Jesolo, Lignano and Caorle are really popular summer destinations for many tourists and those places are only 20 minutes from my own town. The beaches are very beautiful with creamy sand and even if there are many people around you, you can always find a place that is still quiet, where you can enjoy the wonderful gelato that you can buy on the beach when the ice man arrives with his cart. The boulevards of all those places I have mentioned are very charming and full of life night and day. You find many beautiful shops of elegant clothes and shoes, souvenirs, pizzerias and restaurants, ice salons, and café bars…you can spend your day or your night walking and chilling around, looking at the nice girls and the good looking Italian guys walking up and down the street, doing what we call “la passeggiata”… I can’t tell you how many wonderful nights I have spent in those places having fun with my friends! Having fun, that’s another being Italian thing! When I was up to something more romantic and quiet I went to Caorle…it’s a very romantic old city, the beach has rocks, and from the beach you can see in the back ground the old colorful fishermen’s houses…it a very beautiful place….google Caorle…you are going to love it! Being romantic, that’s another being Italian thing! Of course there are also the discothèques (clubs) – many very cool – some are very exclusive and elegant. Guys have to pay good money to get in…for the girls it is free…even if you don’t like to dance it is nice to go…you can see how beautiful the Italians are. As you may know fashion is really important to the Italians…we wear fancy clothes even to go to the bakery! It’s like a drug for us to be well dressed…we all have what I call “the paparazzi syndrome “…you’ll never know who you are going to meet and you need to look at your best! This is why we spend so much on brand clothes and accessories…we consider a car also an accessory…so don’t be surprised to see many Ferrari, Porche, Mercedes and BMW…no we are not all millionaires…we just like to spend our money on fancy things like clothes and cars! That’s another being Italian thing; looking good! In the winter I was pretty close to the Alps, the mountain that divide Italy from Austria. Only a few hours from my place you can find the very exclusive place to ski called Cortina D’Ampezzo, in the very famous Dolomiti. The village of Cortina is very elegant: you can find great restaurants, shops and hotels. The panorama is breathtaking and the ski facilities are great….well I prefer the beaches but nevertheless Cortina is a wonderful place if you like the mountains and if you what to be at a V.I.P. place! In August, I would go for the month to my grandparents in Rome. What can I tell you…was I lucky? For sure…. Rome is the most wonderful city in the world. You can find art everywhere. Rome is like an open-air museum; did you know that Rome has 2000 fountains? Well when you are in Rome you will feel la” Dolce Vita”, the one that Fellini was talking about in his world famous movie. But it is true! There is such a vibe while in Rome…life is really sweet over there and you feel a kind of happiness in your heart! The world seems to go slow, even if everybody is rushing around you. The Italians are very nice people: they enjoy good food and good wine, family values, clothes, cars, the arts…they are true lovers of life! Go to a small café’ in via Condotti in Rome look around, enjoy your espresso and a small and still warm brioche…you will feel what I call “the joy of life”. Go to the Trevi Fountain at night: you will feel what I call “Golden moments of timeless beauty”. It’s like life is sweeter there…people around you are enjoying the weather always sunny and mild, the great food that you can get everywhere you go, the beauty of the city no matter where you are…and while you hear the city hassle and bustle, with the siren of the police cars driving like crazy, the thousands of scooters around you, and the millions of people…believe me you will feel like life goes slow while in Rome. You will feel so good, Rome will never leave your heart….and you will throw a coin in the Trevi fountain and you will wish to come back soon…everybody does that, Rome will have stolen your heart! 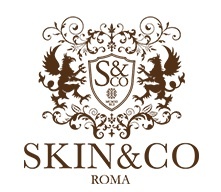 I love Rome, there is something that I can’t describe to you…you should go and you will know what I mean! And of course, so will my Venice…there is so much to love in Venice!